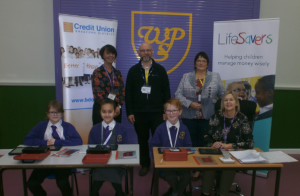 We are really excited to work with our local credit union and have our school bank up and running! Join the lifesavers club at our school and you can start saving money. If you save just a small amount each week, it will soon add up to lots and lots of money! Learning how to save money is an essential skill for life! The bank opens every Thursday morning at quarter past eight and takes place in the bottom hall. 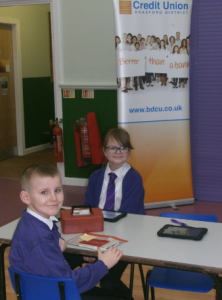 Our pupils work as cashiers and are responsible for cashing in the money saved by children as well as calculating the total amount of money saved in the cash boxes in order to check that it balances with the amount of money registered online. 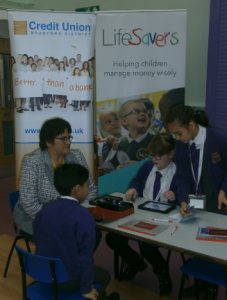 Mrs Beveridge is the bank treasurer and monitors the banking sessions.